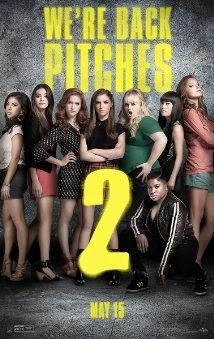 After the original PITCH PERFECT became the cult classic that it is, we all knew it was simply a matter of time before a sequel would appear. The big question was would it be as good or even better than the first one. The answer? Aca-Yes!...and no. PITCH PERFECT 2 is essentially the same movie as the first one except the jokes are bigger. The plot is much smaller. It's exciting, fun, funny and a joy to watch, but only if you go into it with the attitude that this movie is nothing more than fluff and harmony. If you are looking for substance, deep plot, or characters with a character arc you should skip this flick. If you are looking for a film that will make you smile from ear to ear, sing along, and make you laugh, you will absolutely love this movie. All of the characters from the first film are back again, so fear ye not oh fans of Bumper. You will be pleased. In fact, Bumper and Fat Amy share the funniest scene in the film. Although Gail and John give them a run for their money in the funny department. This is a movie that you could easily wait to see on DVD, but it's worth it to see it in theaters with a bunch of other serious fans of the franchise. So grab your aca-friends and your pitch pipe and have a great night at the movies. NOTE: Make sure you stay through the end credits. You can see my Drive Through Movie Review of this film here. This movie is loud, intense, gross, weird, disturbing and hilarious in its over-the-top presence. 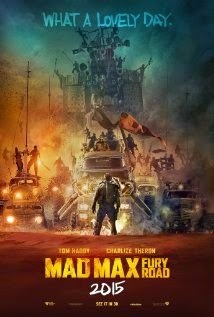 You may love it or you may hate it, but either way it's a flick that should be experienced on the big screen. I liked the first Pitch Perfect but there is something about a sequel that just doesn't appeal. I feel like I've been there, seen that and still haven't signed on to the Rebel Wilson fan club.